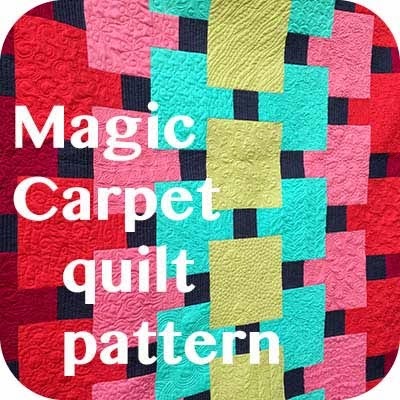 It was a great delight to me that through the blog and Instagram there were several people who were interested in taking my new Magic Carpet pattern out for a spin. 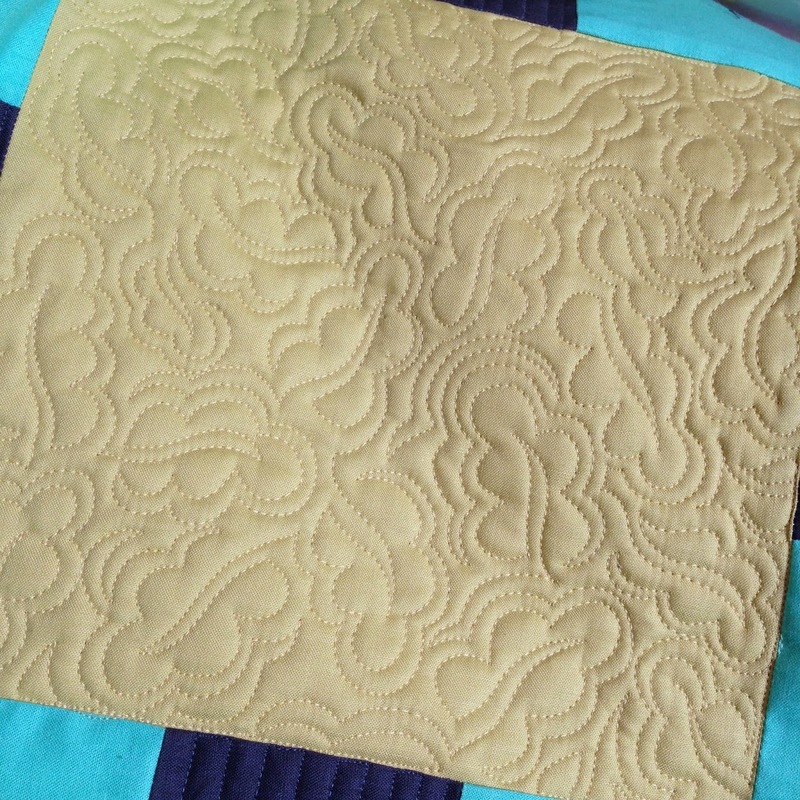 And today I get to show you what they did with it! 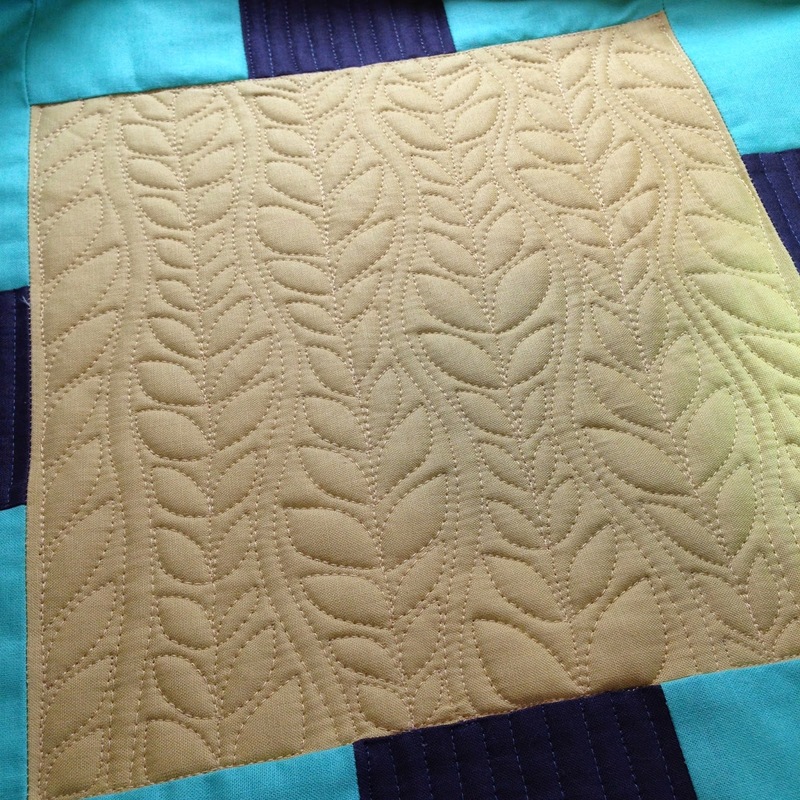 Kristyn at Melonpatch Quilts made this monochromatic version and I really love it! 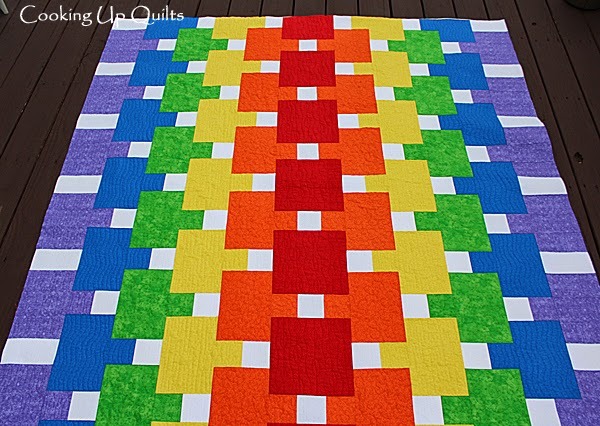 Beth at Cooking Up Quilts picked the perfect fabrics for a happy rainbow approach. 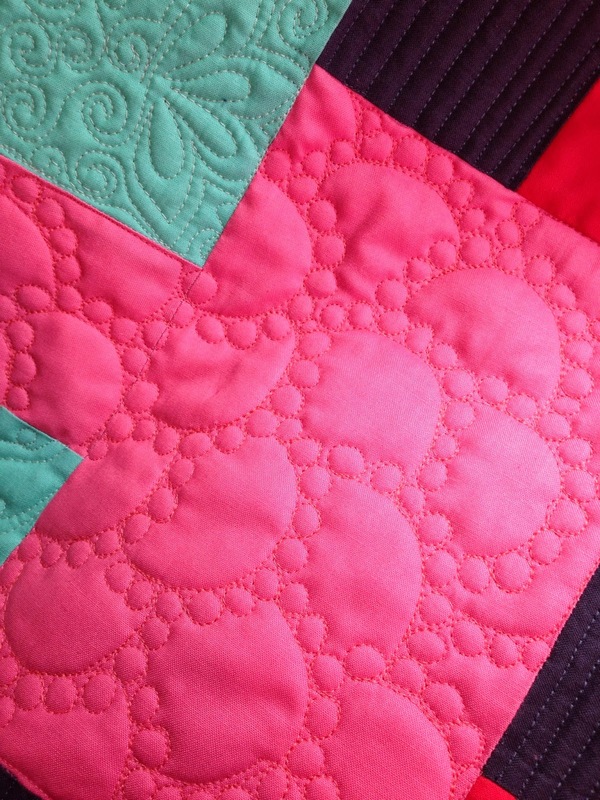 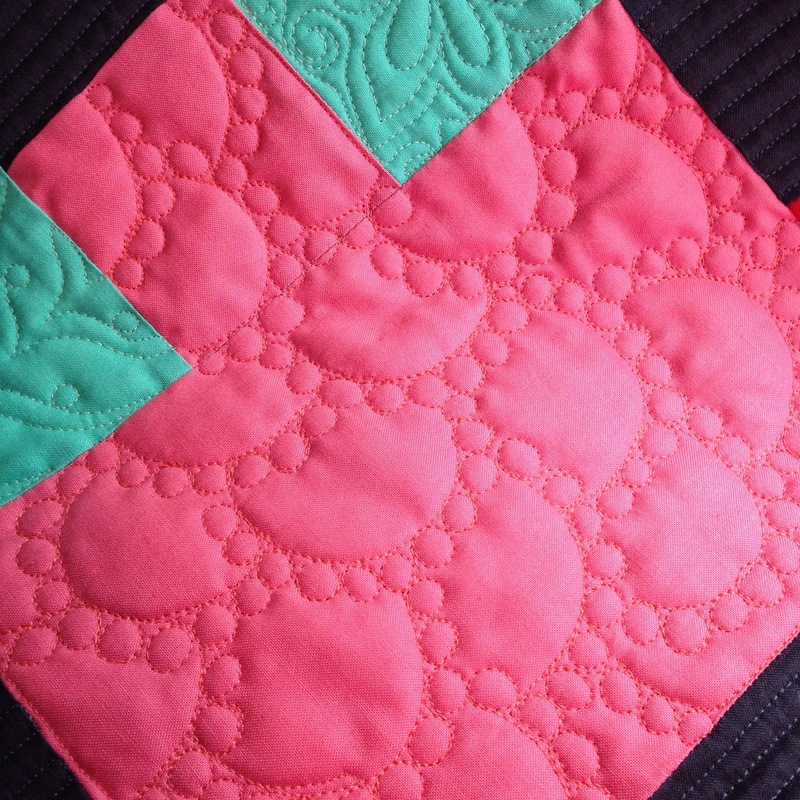 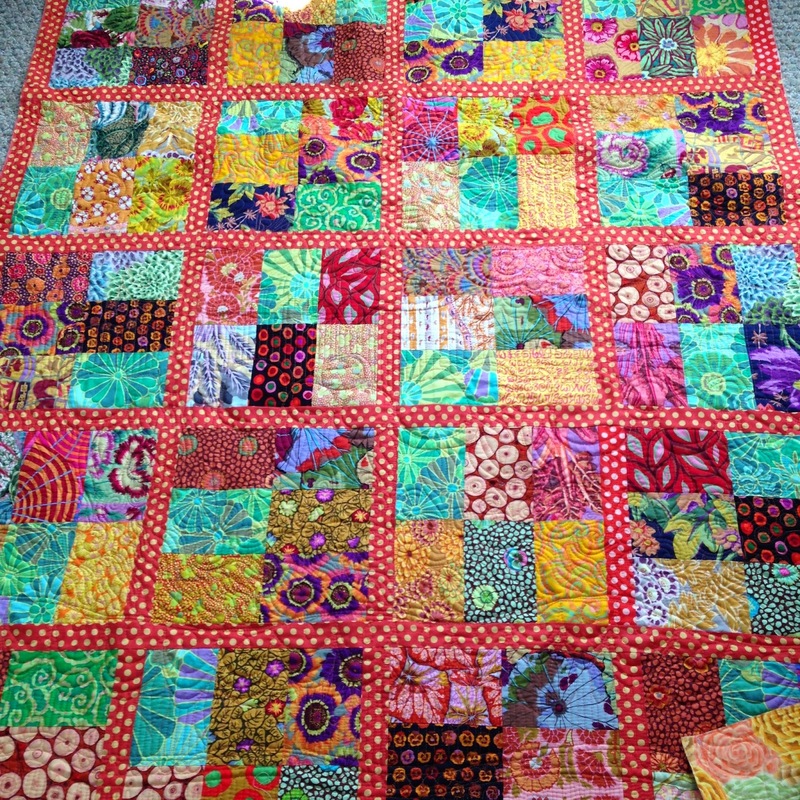 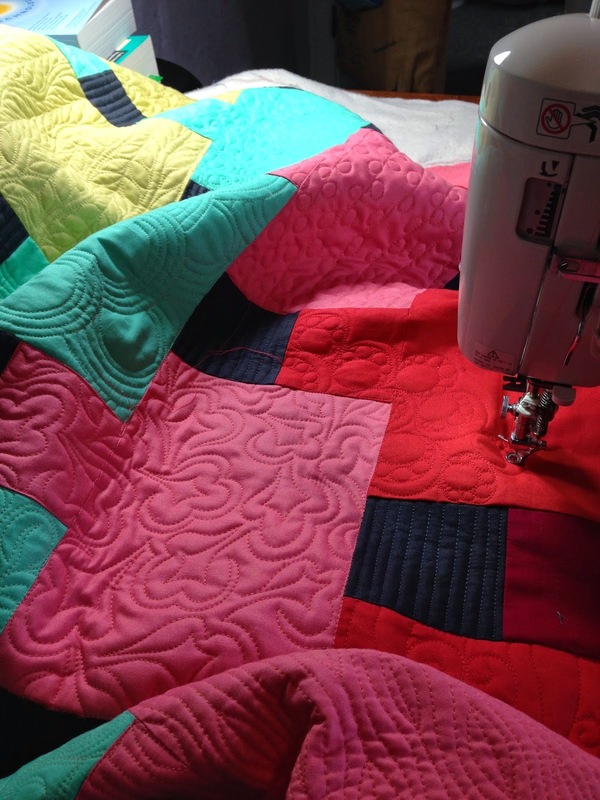 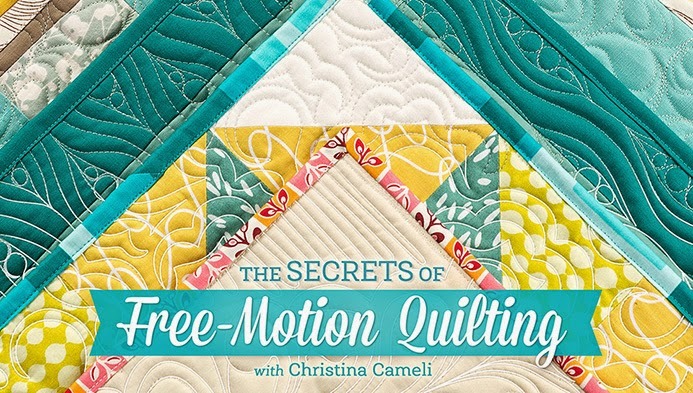 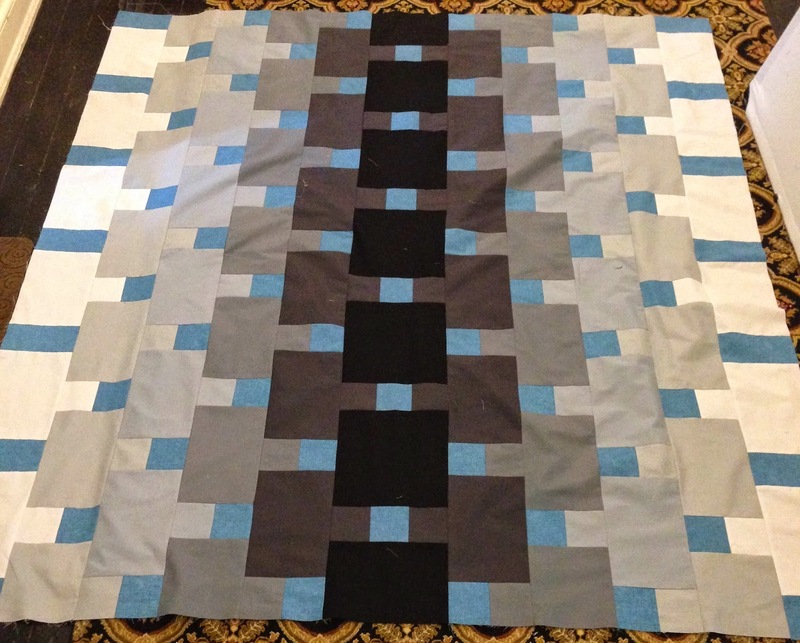 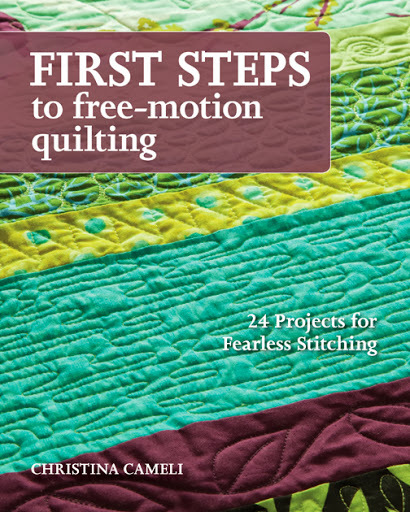 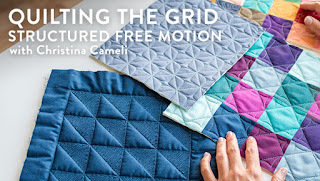 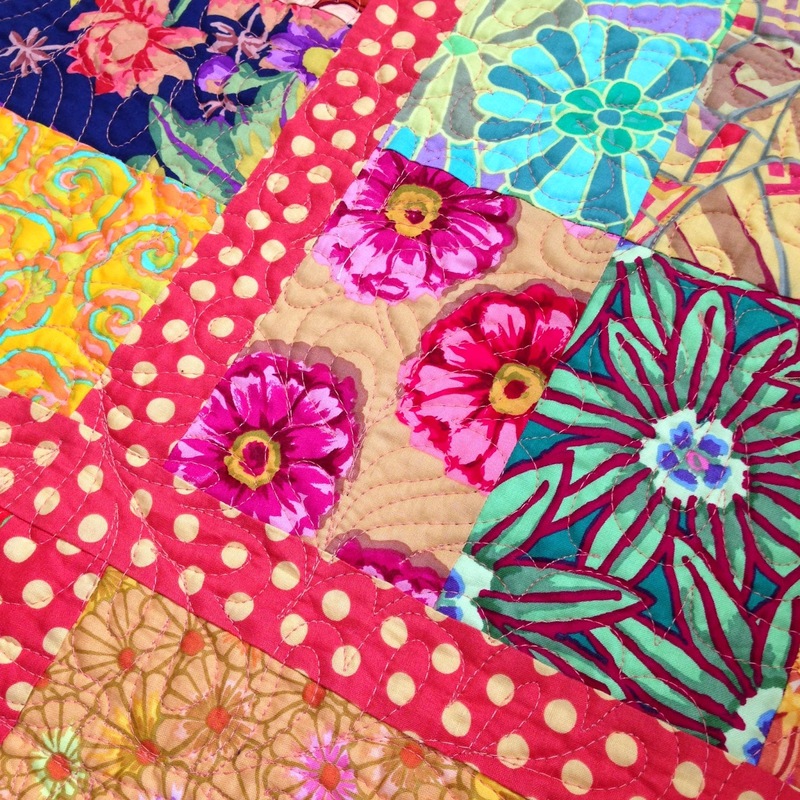 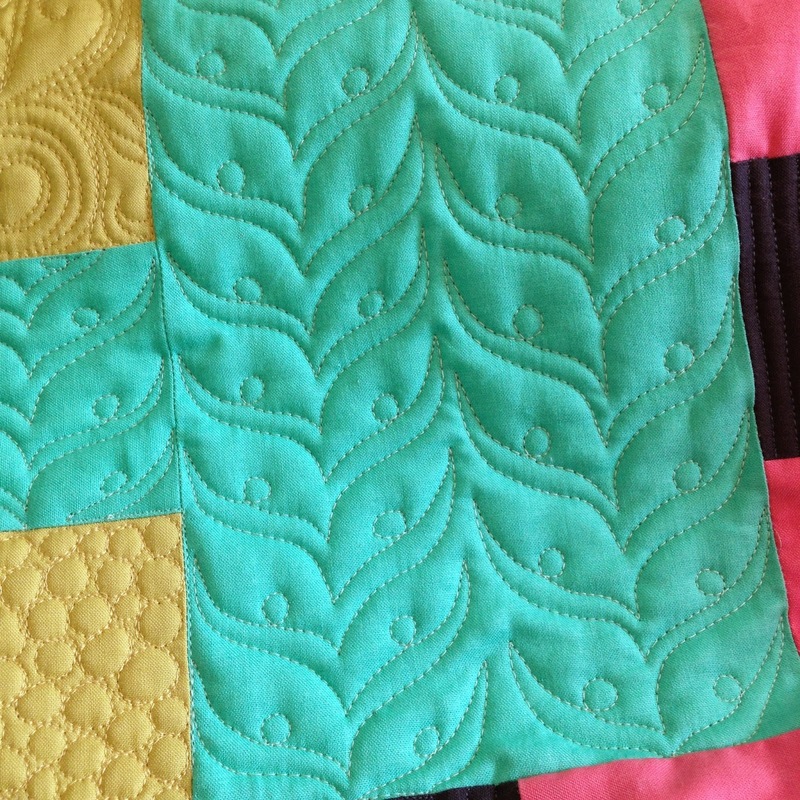 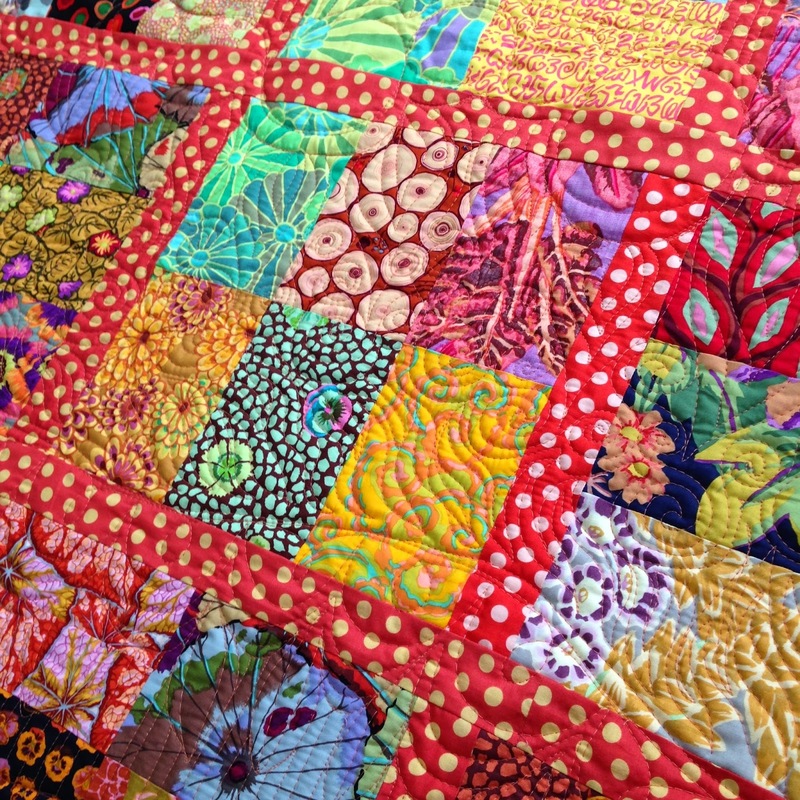 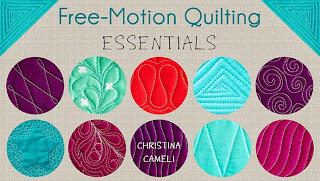 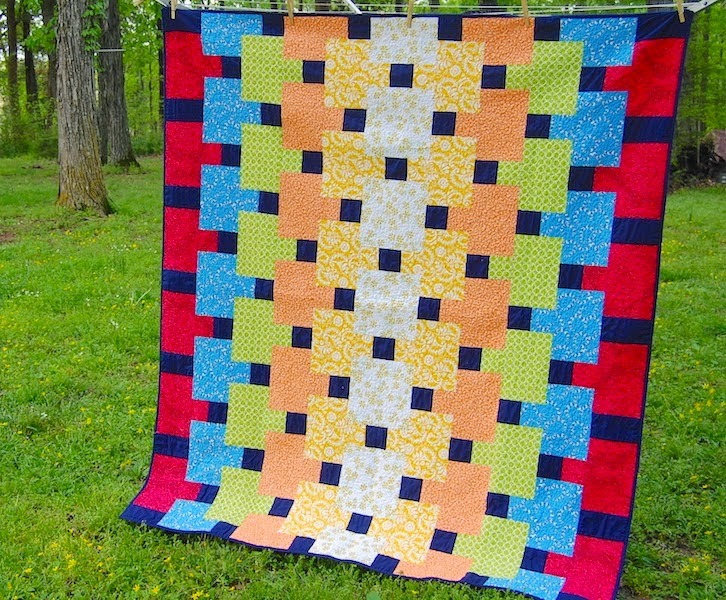 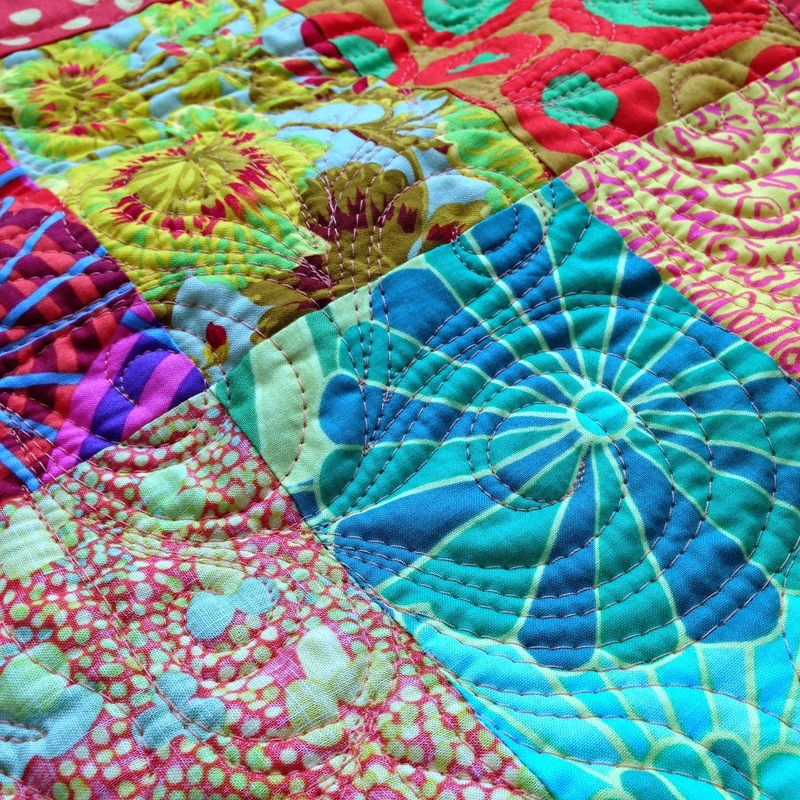 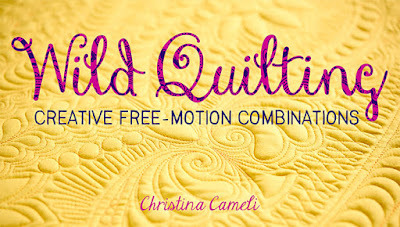 Click over to her blog to see the beautiful quilting! 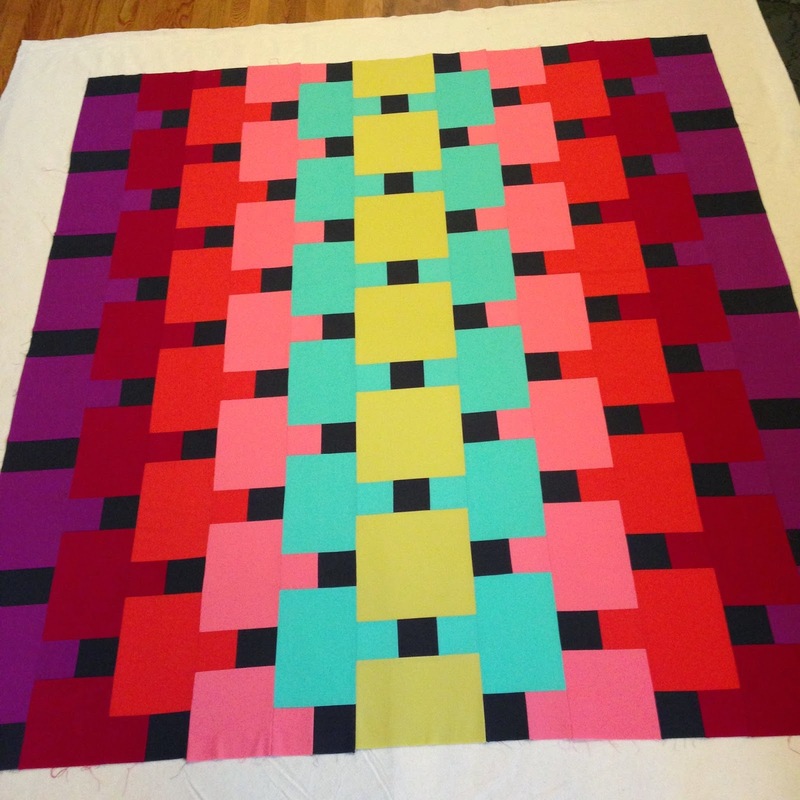 Karlee (sewinspired2day) chose an attractive color scheme with input from her 14 year old daughter. 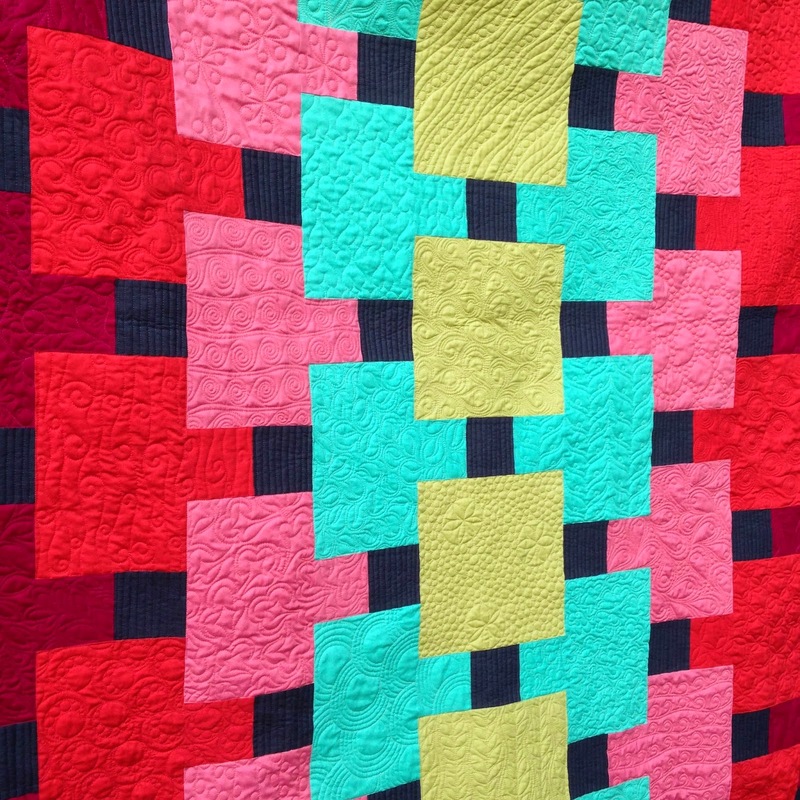 She said it's her favorite quilt she's ever made, what a compliment! 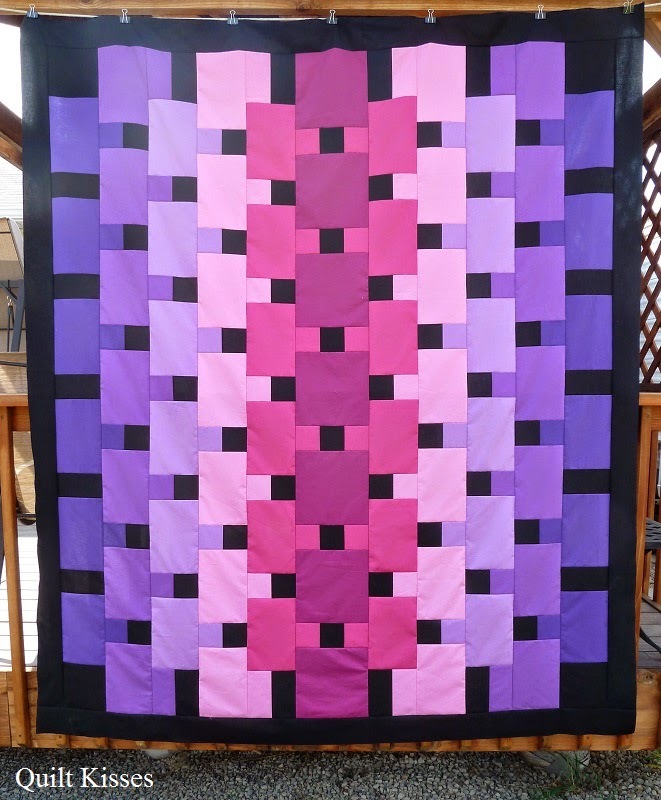 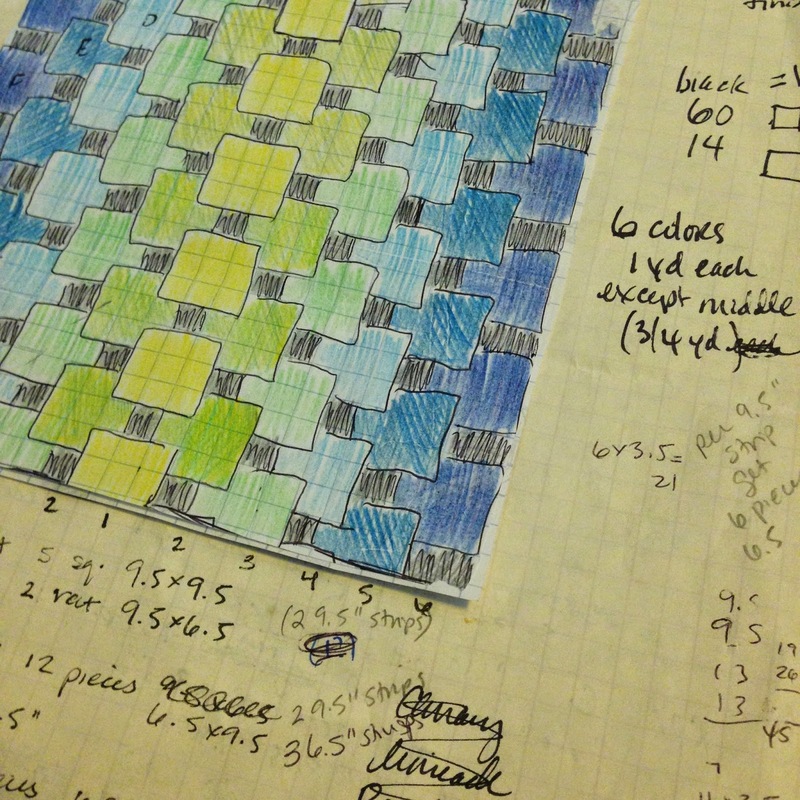 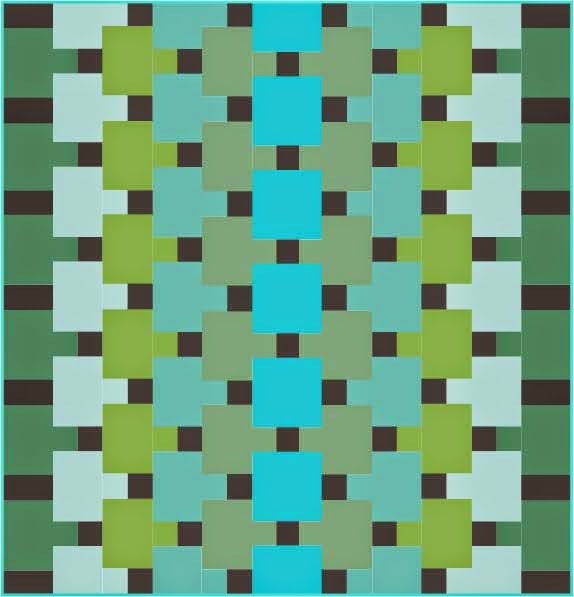 Debra Hamilton (rivergirlquilts) used a two color approach and it came out especially hypnotic. 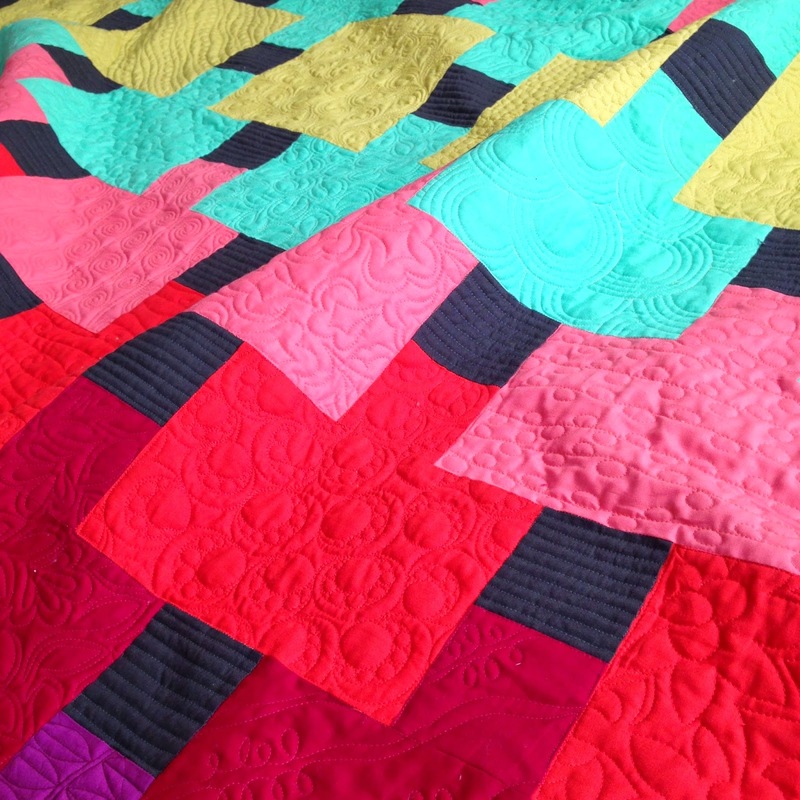 And you may have already seen the quilt made by Sarah at Confessions of a Fabric Addict. 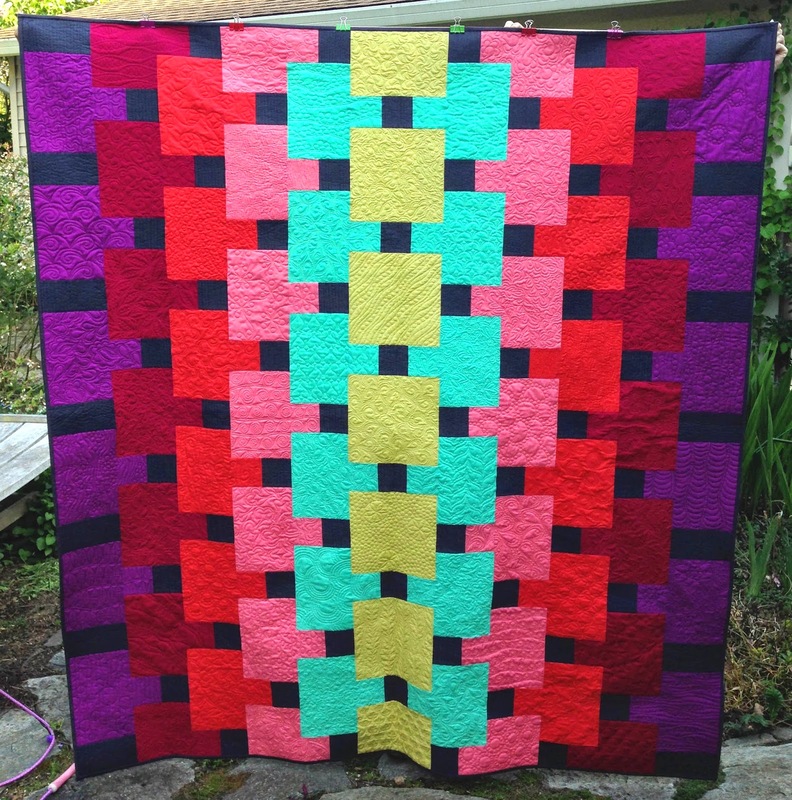 She whipped up this quilt and finished hers before I had even finished mine! 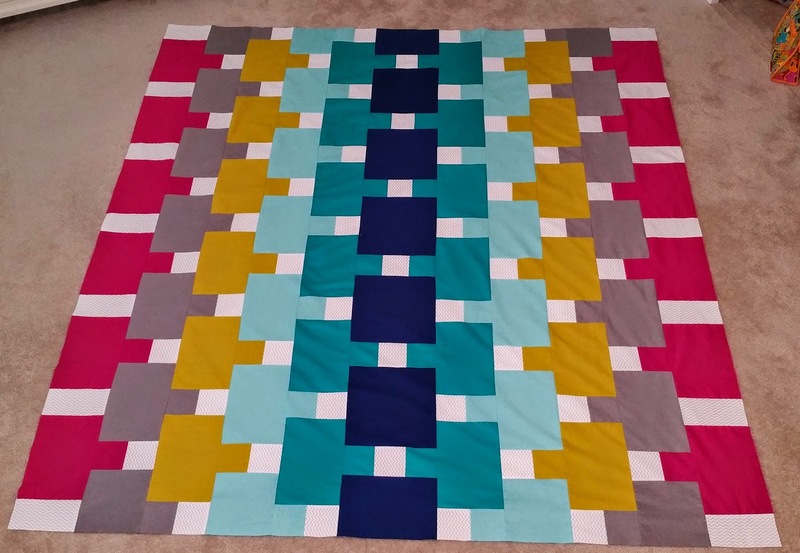 Finally, Jasmine at Quilt Kisses made the pattern with a few changes that she explains in her blog post, I love how her color scheme reads! 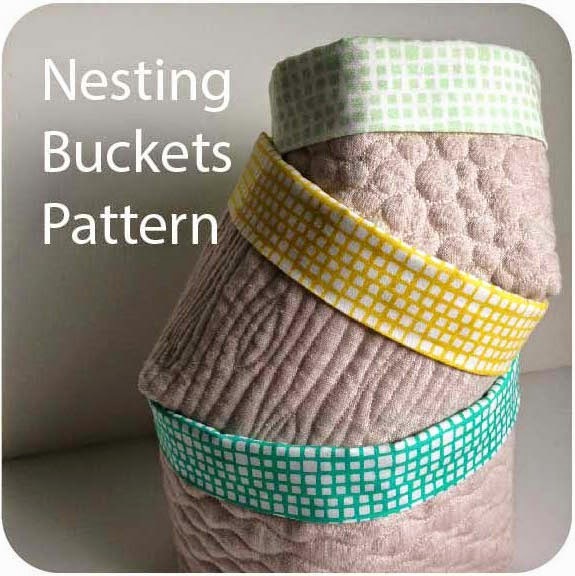 Isn't it fun seeing all the different ways the pattern can look with various fabric choices? 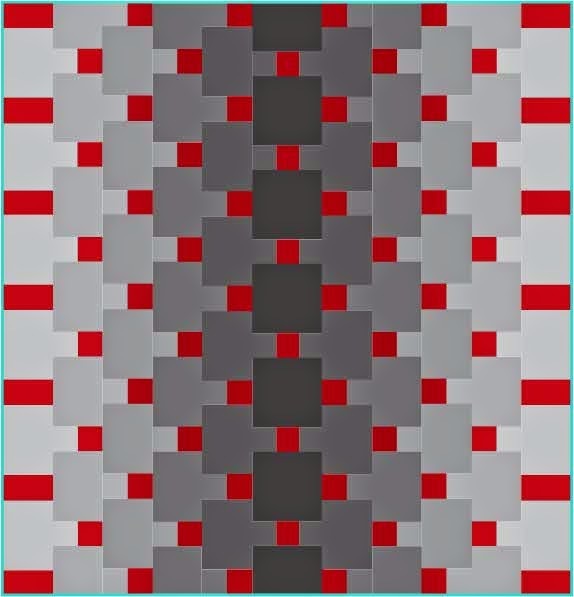 So now I'm a little embarrassed to say I intended to offer a giveaway of the pattern for sale when I posted it but I forgot. 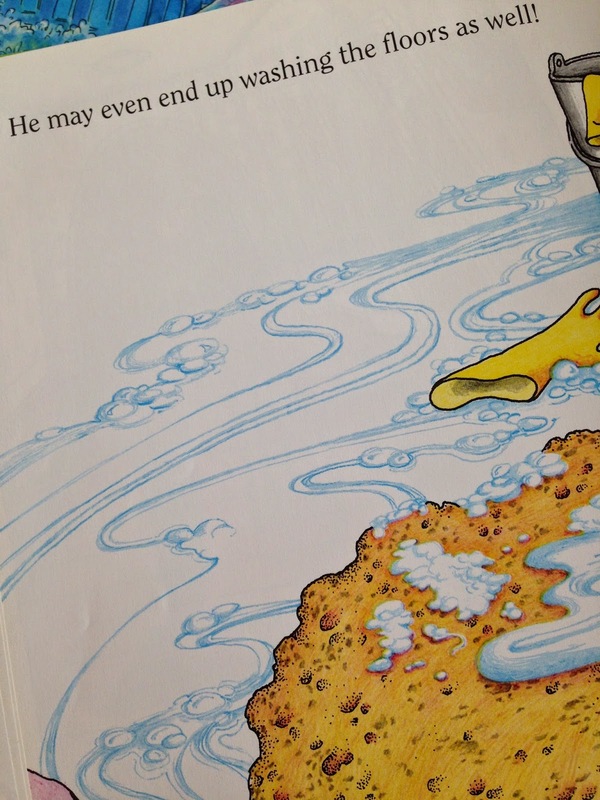 I am not the model blogger, it turns out. 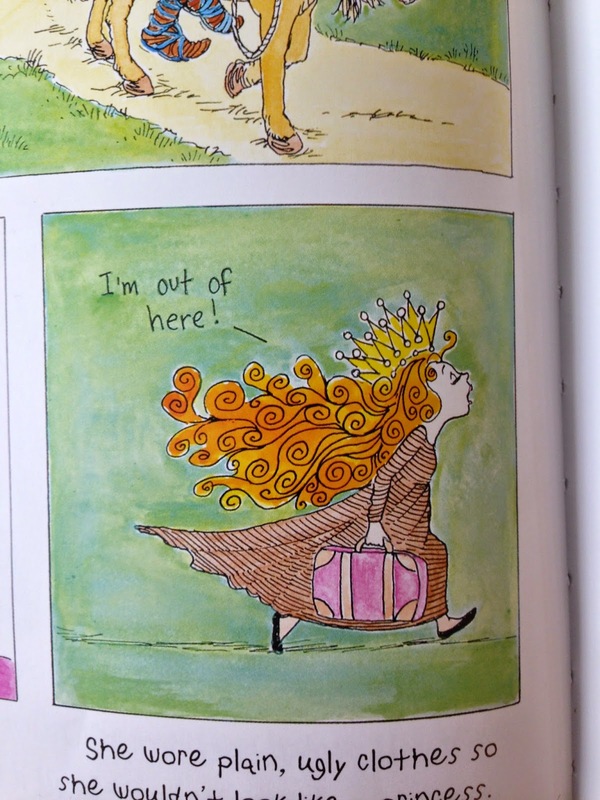 But now today's the day! 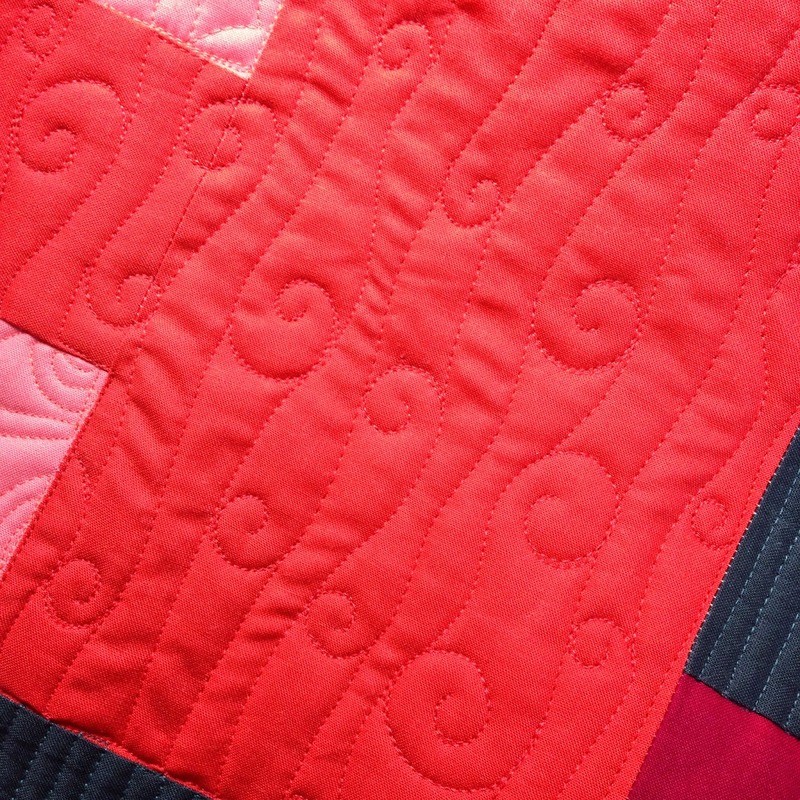 The giveaway is now CLOSED! 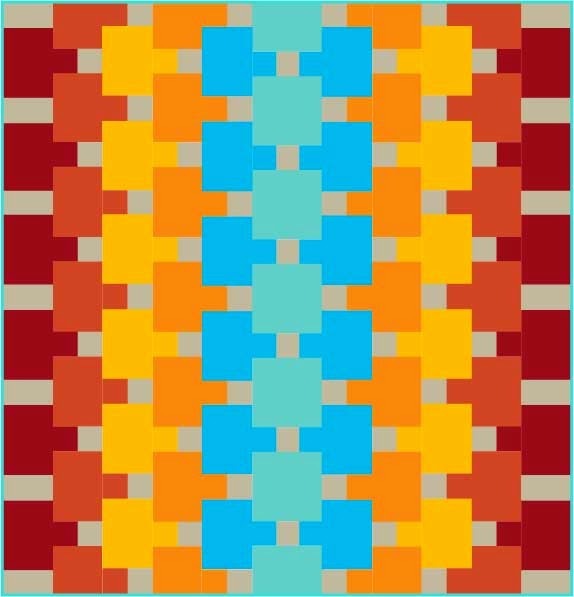 Thanks for the great suggestions everyone!